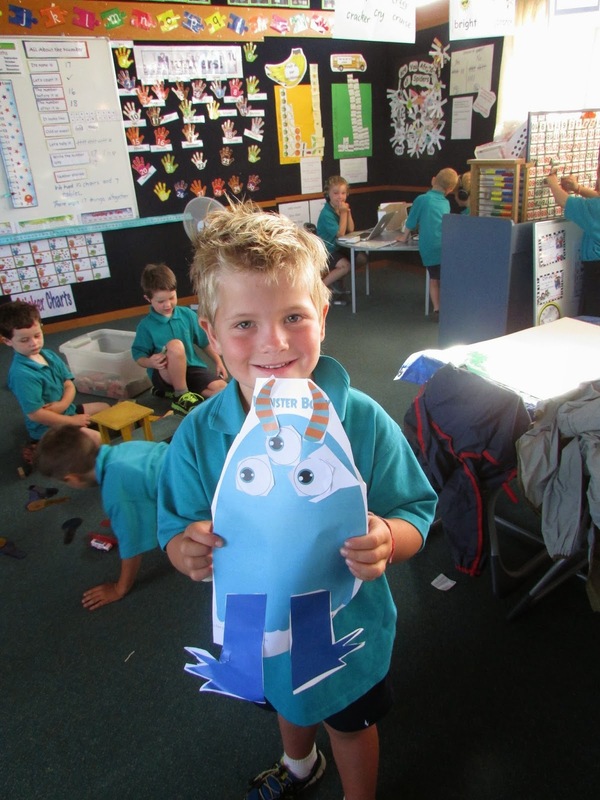 Bellbirds / Korimako: We have been busy Bellbirds! We have 2 budding architects ,engineers or perhaps builders in our class. 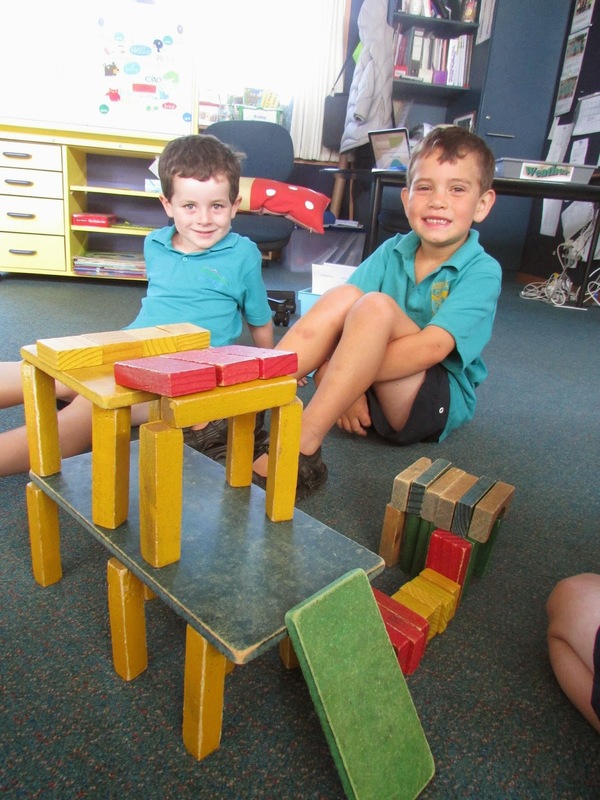 They have loved building and designing structures using the wooden blocks over the last 2 weeks. Lucy is creative! 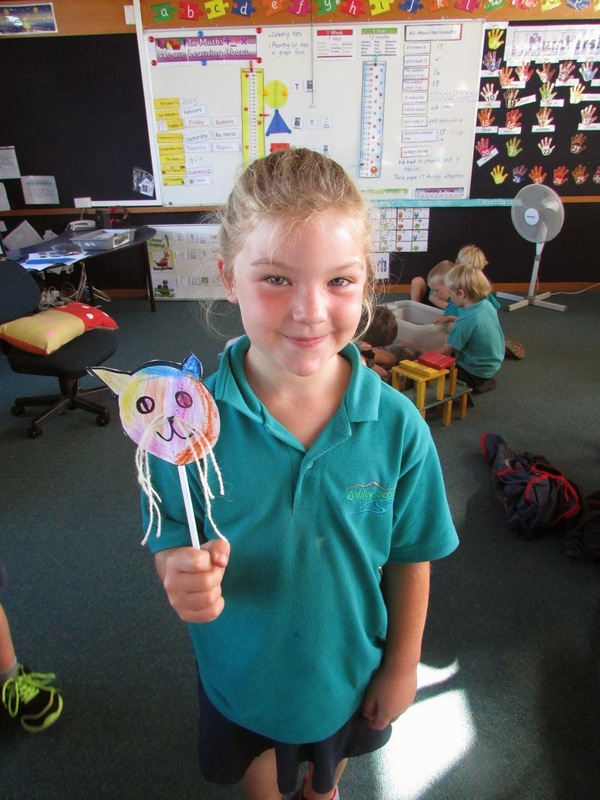 She made a cute cat. She thinks it is pretty, wonderful and unique! We have explored how to make different colours using the colour paddles. Fynn discovered that if you mix green and red you can make brown! 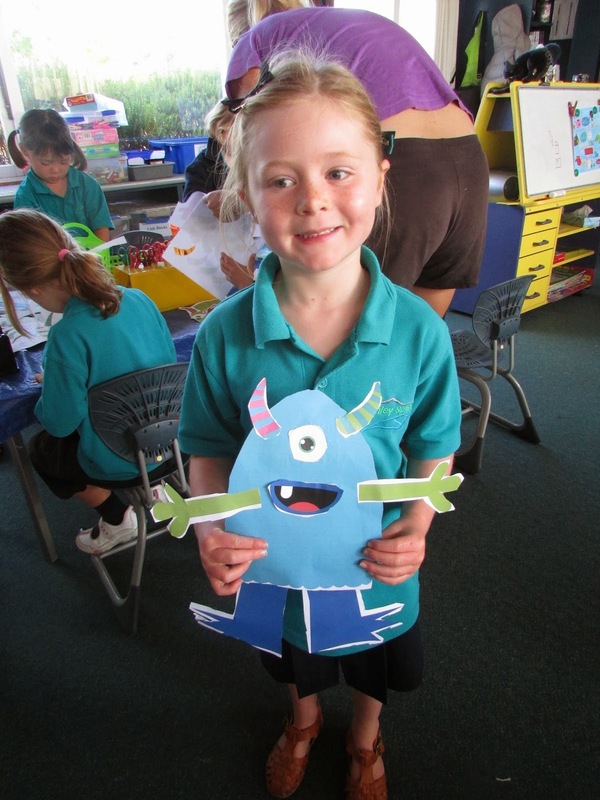 Olivia thought making her own monster was fun! Her monster is a friendly monster with one eye. He is not real though! 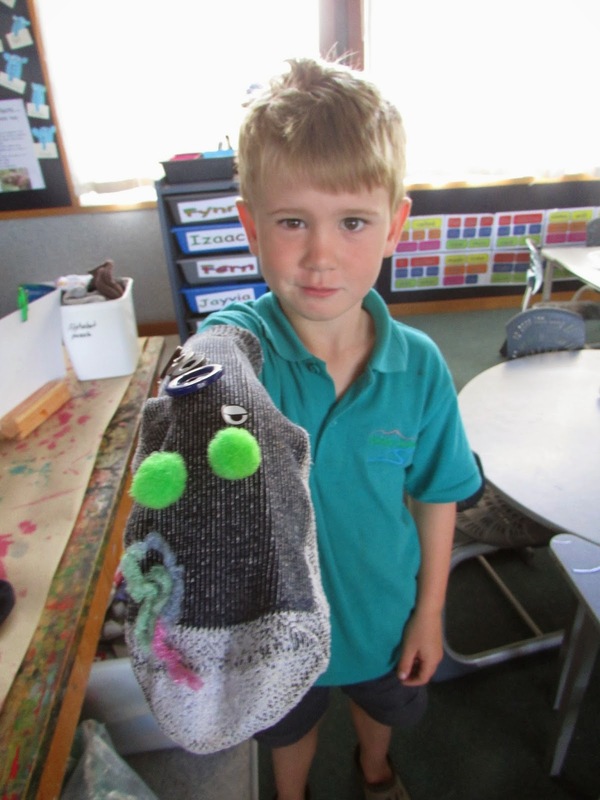 Cooper enjoyed making sock puppets so much he made 2! They can talk to each other. Please come in to our classrooms to see our fabulous fish. We have been learning about the primary and secondary colours. We love reading lots of stories at school. Last week we read the story Elephant is Stuck. 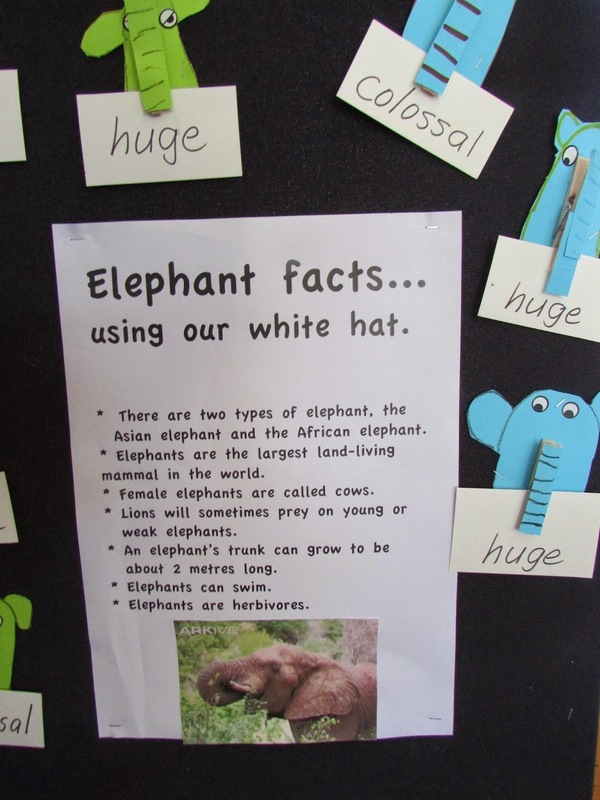 We put on our white hats to find out facts about elephants. We also had to think of words that we could use instead of 'big'. We know heaps! Today we read the story Rabbit and Rooster's Ride. We talked about words that tell us how we move. We can climb up and down a hill in lots of different ways! We called these doing words verbs! Well done team. Your contributions to our blog are fantastic. Mrs.R.